It’s Memorial Day Weekend and the Forest Grove Senior and Community Center will be closed. We will be heading to the farm on Monday! Susan Schmidlin has invited us out to Schmidlin Farm, a black Angus ranch near Vernonia. Bring pens and paper, laptops, whatever, and join us for this fun morning, and possibly the day. There will be carpool available at the Center, leaving by 8:20AM on Monday. The rest of us will meet at Schmidlin Farm by 9AM. Please bring a potluck meal to share with everyone as we will have lunch following the morning workshop. Please label the food as to vegetarian, meat, dairy, or gluten. The Schmidlin’s have invited us to tour the ranch and get some close up time with the cattle. Those willing to pull weeds, bring appropriate attire and kneeling pads and join us in her huge garden. She brings in fruits and vegetables all summer long to our writing group, and this is one of the ways we can pay back. See you, Monday, at the farm! The Forest Grove Senior and Community Center will be closed on January 18 for Martin Luther King Day. Paula and Parks Adams have again offered their home in downtown Forest Grove for the 9AM meeting. While they traditionally serve snacks and have food for lunch afterwards, please bring a small potluck or snack to add to the mix. 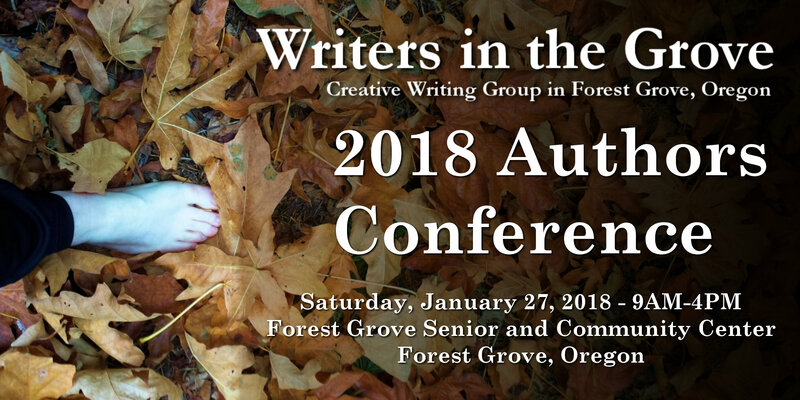 We usually do something special on these workshop events, including multiple prompts, so expect to really sharpen up your creative writing skills in January! If you require the address and directions, please use our contact form. The following is by Liz Winston, a guest to Writers in the Grove Monday workshop. She wrote the following and shared it with us with permission to publish based upon the 4th of July prompt. Liz is a singer specializing in jazz and gospel in Seattle and also works retail during the day. The person you see today. I feel ready or not.